Home > Everyday STEM Card Sort – Science or Technology? Everyday STEM Card Sort – Science or Technology? With this fun and simple activity, students start to look at the world around them differently. 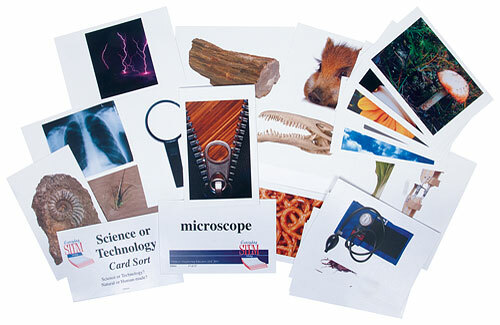 Looking at basic items – a microscope, medicine, a fossil, beetles, and so on – students decide if the items belong under the category of science or technology. Includes 27 cards.